what is a real estate owned (REO) property? In a majority of circumstances, HOA’s (Homeowner's association's) are only entitled to recover for assessments that accrued from the date of foreclosure sale forward. 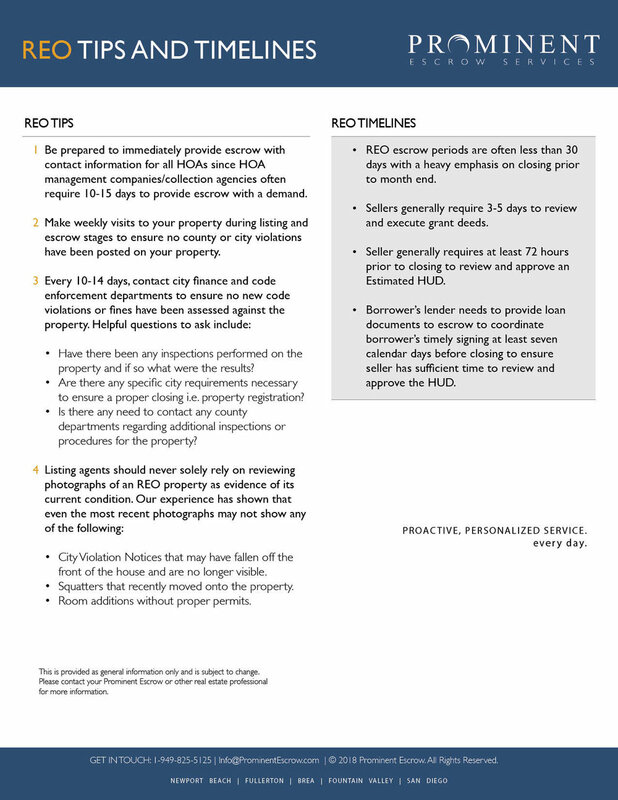 Very often, HOA’s will submit a demand that seeks the recovery of pre- and post-foreclosure assessments. The pre-foreclosure assessments should be extinguished by the foreclosure sale and therefore not recoverable. If you don't see a specific REO question answered here, LET US KNOW AND WE WILL get you MORE information. what is the irs's 120 day right of redemption? Find more informational flyers in our library.